We have just entered the second-third of the National League season and after the first break of the campaign took place on the weekend, it seems like a good chance to reflect. Writer for the NCA website, Chris Heal, takes a look at how some of the 48 teams across National One, National Two North and National Two South are performing this term and how the next five games could pan out in the lead up to the New Year. DoR Rowland Winter gives his opinion ? "the character and battling qualities that this team have really stood out today"
There is only one place to start and that is with National One. Coventry have been the standout for me. It seems the obvious choice but 11 wins from 11 has been an excellent beginning for Rowland Winter’s side. After finishing fourth last season, Cov are building towards a return to the Championship – where they have not been since 2010. Winter came into the club at the start of last year when the Midlands side finished mid-table, but 18 months later, the men from the Butts Park Arena are certainly heading in the right direction. 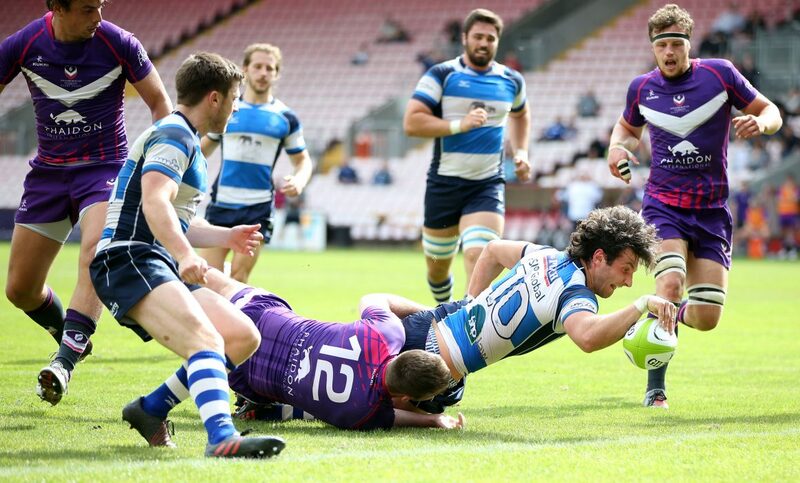 You have to add Darlington Mowden Park to the list of sides who are progressing well. They finished in the bottom half last season, but currently find themselves second in the table. Alongside DMP, credit must go to two of the newly promoted sides who will be more than satisfied with their performances this term. Bishop’s Stortford and Old Elthamians have settled really well in National One following promotion from National Two South. Stortford currently accommodate sixth place and they are on a five game winning streak while OEs have picked up some impressive results to leave them seventh in the table. Three months into the season and things are looking very positive for both of these teams. Since the start of November, the race for promotion has really begun to hot up in this division. League leaders Stourbridge flew out of the blocks and impressively won nine games on the spin which left them 11 points clear at the summit. However, back to back defeats for Neil Mitchell’s side have now reignited the battle for a top two spot. Tynedale and Hinckley have certainly caught the eye this season. Both teams finished in mid-table last term, but under the stewardship of Scott Lawson and George Chuter respectively, both sides sit level in the division and they are just two points behind Stour. Tyne have managed to get their season back on track after a mini-blip while Hinckley have lost just one of their last seven matches. Below the top three are Sedgley Park and Sale FC. Both clubs challenged for promotion last season (with the latter reaching the play-offs) and both are in a good position to do the same in this campaign. Matt Bebbington’s Sedge have won five of their last six games to leave them three points off the top while Sale FC are just starting to click through the gears after four straight wins. Elsewhere, two other clubs who have had a positive season to date are Sheffield Tigers and Huddersfield. The Tigers produced a remarkable recovery to avoid relegation last term and they have not looked back, winning their last five games to sit comfortably in the top half. Newly promoted Huddersfield made a return to National Two North after a year away and they will be pleased with their progress as they currently occupy ninth place, following five victories from their first 11 matches. Just like this time last season, Chinnor lead the way in National Two South. Matt Williams’ men began the campaign with a frustrating draw away at Clifton, but have won 10 straight matches since then to surge to the summit of this division. They missed out on a top two place by the finest of margins last term due to a dip in form during the festive period, so the Oxfordshire side will be hoping to avoid a repeat of that. Second placed Cinderford have also impressed this term. After relegation from National One in 2016, the Gloucestershire side were able to stabilise themselves at this level, but this year, they look as though they are mounting a challenge to return to the third tier. 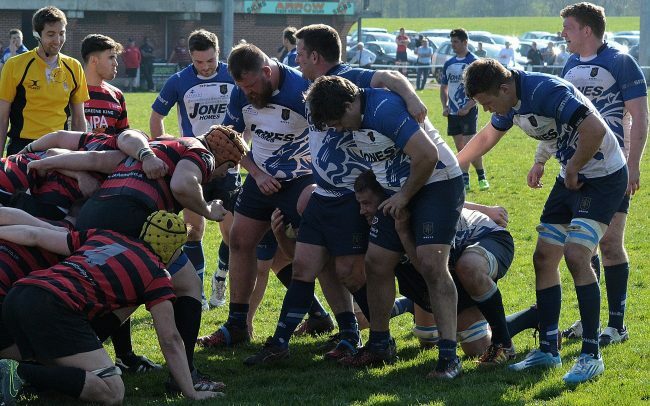 Paul Morris’ side have lost just once this term and currently sit two points behind Chinnor. A mention must go to third placed Taunton Titans as well. Tony Yapp’s side had deservedly won all nine of their opening matches which left them top of the division heading into November, but surprising defeats against Henley Hawks and London Irish Wild Geese as seen the Titans fall away from the top two. This has been a common theme over the last couple of seasons for Taunton so can the Somerset side show their quality once again to bounce back? Who will be aiming to improve? Of course, all the teams currently in the relegation places will be hoping for a more enjoyable campaign after this break in the season, but there are a few clubs across all three leagues who will be aiming to spark their seasons into life. In National One, bottom of the table Fylde have shown small shoots of recovery over the last couple of weeks as they look to climb away from danger while 10th placed Rosslyn Park will also be hoping to gain some positive consistency after a difficult start to the term. Four of the bottom six teams in National Two North will be keen to end 2017 on a high. Otley and Luctonians are once again struggling towards the relegation places – with the former currently in the bottom three – while Macclesfield and Blaydon also find themselves at the wrong end of things. The two sides relegated from National One in the summer are yet to really get going this term, but they have five games between now and January to put a positive spin on their tough campaigns. The relegation situation in National Two South is slowly becoming clearer, even at this stage of the campaign. Three of the four promoted sides ( Wimbledon, Old Redcliffians and Broadstreet) are starting to be cut adrift at the bottom with 14th placed Street already 14 points from safety. Added to that, Wimbledon and Old Reds are still yet to win a game this term so alarm bells will start to ring for all three sides if they cannot improve between now and the end of December. How will the divisions look by Christmas Day? League leaders Coventry have a tough run of fixtures. Matches against Plymouth Albion, Ampthill & District and Darlington Mowden Park will be the most concerning, but if Cov come through those fixtures then they will be clear favourites for the title. Down at the bottom, Caldy will be aiming to take advantage of the festive period. The Wirral side sit 12th in the table but take on Fylde and Old Albanian so the current National Two North champions have a real chance to move away from trouble. Also of note, Fylde take on Loughborough Students in a battle of the bottom three while 13th placed Hull Ionians face a tricky run of fixtures between now and the New Year. Four points separate the top five teams in National Two North and there are some crucial fixtures between now and Christmas Day which will shape the title race. Leaders Stourbridge play Hinckley at the start of next month and then Tynedale while there is a Christmas cracker on show as Sale FC play Segdley Park on December 23rd. Bottom of the table Wharfedale have a tough run heading into the New Year, but it is a huge month for 14th placed Otley. They play Dale as well as Luctonians, Sheffield and Macclesfield while the aforementioned Macc take on Sheffield and Luctonians. It is safe to say there won’t be any early Christmas gifts being handed out between this group of teams. Chinnor’s run to Christmas is not a straightforward one as all of their fixtures are against sides in the top half including Redruth and Taunton Titans. However, possible title rivals Cinderford play three of the teams which Chinnor have to face so it will be interesting to see how the top two get on. In terms of the sides at the wrong end of the division, winless Wimbledon take on Cinderford, but they have crucial games in December against Old Redcliffians and Broadstreet. The Dons will also have a keen eye on next Saturday as Broadstreet host Old Reds, but the visitors to the Midlands next week have some favourable fixtures against sides in the bottom half between now and the New Year so this is vital stage in the season for Saul Nelson’s men.